Office 365 is your complete office in the cloud. When we say “complete office”, first of all, we mean the Office apps that you know and love – Word, PowerPoint, Excel, Outlook, etc. With Office 365, you get these same apps as you have always used them, as desktop apps. The difference is, you are now subscribing to Office. This means you will always get the latest version of these Office apps on your desktop, whether you are online or offline. In addition to desktop apps, you also get Office Mobile on your smart phones for viewing and editing on the go. As part of our continuous commitment in improving the services, we are now supporting Office Mobile for both iPhones and Android phones. For any other devices, or when you don’t have your devices with you, you still have Office Online which allows you to open and edit documents and emails in any browser. But that is not all, there is so much more you get with Office 365. You get Office, plus all these services and benefits. You get cloud-based productivity services hosted by Microsoft, including * business-class email, * file sharing, * HD video conferencing, all working together and connected to Office so you have anywhere access to everything you need to run your business. And these are all enterprise-level services optimized for smaller businesses, so it is easy to set up and manage, with a financially-backed SLA and 24/7 technical phone support for critical issues. Why We Built Office 365? Continuous soliciting of feedback from our customers highlighted some of the top requests about IT infrastructure and productivity tools which led us to building Office 365 - a technology that can help them * be more productive anywhere, * work better together, * protect what matters and * build for tomorrow. 1. How Office 365 Can Give You Anywhere Access To Things You Need To Keep Your Business Running At All Times. Office 365 includes the latest version of all the familiar Office applications – including Word, PowerPoint, Excel, Outlook, and more – for each user to install and use on up to 5 PCs or Macs. These fully-featured, rich client Office apps install and stay on your machines so you can use them online or offline, the same way you have used Office in the past. But Office 365 is not just about the desktop. We certainly know that work is happening anywhere on all types of devices, and we have worked to build Office apps that are optimized for tablets and smartphones to make sure we empower great mobile experiences. Office Mobile (Word, PowerPoint, Excel) is available for iPad. The apps have the robust capabilities and familiar look and feel that is unmistakably Office, while offering a fantastic touch experience built from the ground up for iPad. When you edit a document on the iPad, you can be sure that you will not lose any content or formatting. Simply log in with a qualifying Office 365 subscription, you can view, edit and create new documents with the iPad. iPad continues to have Lync and OneNote Mobile apps, as well as OWA for iPad and OneDrive for Business. For Windows RT tablets, you can run the traditional Office suite of desktop apps (Outlook, Word, PowerPoint, Excel, Lync and OneNote). On these touch-enabled devices, you can switch the apps to touch-mode and the interface changes slightly to optimize for touching with your fingers rather than a mouse pointer. You also have the option to run Lync Mobile and OneNote Mobile apps that are built to run natively on Windows 8. Windows Phone has always supported Office Mobile, which allows you to open or edit files in Word, PowerPoint, Excel, and take notes in OneNote, view and respond to mail with Outlook and participate in online meetings using Lync Mobile. Other apps include OneDrive for Business (built into Office Mobile), Yammer and SharePoint Newsfeed. Office Mobile is also available for iPhone and Android phones at no additional charge for Office 365 subscribers, along with Lync Mobile and OneNote Mobile Similar to Office Mobile on Windows Phone, Office Mobile for iPhone and Android phones offers great Office content viewing and on-the-go content editing capabilities for Word, Excel and PowerPoint documents. We have also released OWA for iPhone to offer users the same email, calendar and contact functionality you get in Outlook Web App in the browser. And of course, with all these devices, you can always log in to your Office 365 account from any browser and use Office Online in the browser, as well as check emails and your calendar, see all your contacts and more. There is no use for Office on all your devices if you cannot get to your documents. With Office 365, your documents are saved to the cloud by default so they are automatically backed up. You now have a “drive” in the cloud called OneDrive for Business, for documents that you are managing and working on but can also share with others. When your documents are saved in the cloud, you can also sync these files to your laptop or mobile devices so you can still access and work on them when you are offline. It will automatically re-sync it back to the cloud when you have your connection back. Because everything is saved to the cloud, when you sign into Office 365 from any device or browser, you will always have the latest version of your documents follow you. You usually travel with your laptop or tablets. But on the occasion that they ran out of battery, or you accidentally pour coffee over them, know that you can still get to everything you need to run your business from any browser. When you go to office.com and login with your Office 365 account, you get to this view which gives you Outlook Web App, your calendar and ability to join online meetings right from the browser, all your contacts and their presence (so you have mouse over and send an IM), the sites you are following, and all the documents you have saved in the cloud, including a list of all recent documents. And when you click on any of the documents, you will be able to open and make edits to the documents right in the browser using Office Online. Office Online are now improved to provide you with a great experience in your web browser so you can create new documents or edit using your favourite browser. With the new and improved Office Online, you get more of the same ribbon experience that you are familiar with in the rich application. And more options will be added as we continue to improve in the upcoming releases. Working collaboratively on documents with co-workers, customer and partners is necessary to being an agile business and getting work done quickly. Office Online, the browser based version of our Office applications, allow users to collaborate on a cloud-saved document using real-time co-authoring. This means everyone can contribute and edit documents simultaneously in the Word, PowerPoint, Excel and OneNote Online. Real-time presence helps you see where your co-authors are working in the document so that you do not create conflicts as you edit. Additionally, the ability to see changes to text and formatting as they happen will help you and your co-authors stay on the same page as your ideas develop and evolve. Users working in the Office desktop applications can collaborate too. 2. How Office 365 Can Help You Connect With Your Customers. Office 365 includes business-class email and calendaring so you can use your own domain name as your business address, which works natively with Outlook. Each user has a 50GB mailboxes with industry’s best spam and malware protection. The latest Outlook connects with social networks like Facebook and LinkedIn so you can see your contacts updates from within the contact card. In addition to making it easy to share documents and emails with a pre-set team structure, you likely also need to do ad-hoc sharing internally or with external partners or customers. With OneDrive for Business, or any other document library within SharePoint Online, you can easily share documents from the preview pane. This preview pane helps ensure it is the right file you want to share. Or, you can also easily share documents from within each of the Office applications by clicking share. When others access the files from the link you share, they can co-edit the file with you in real time. And when there are comments, you can now reply within comments to make it easier to review all the conversations within the documents. When you select a table in Excel 2013, it will take the data and dynamically generate different charts using your data to quickly preview for you what they will look like, without committing to them. It will do the same for you for PivotTable too – which is something very useful but not the easiest to create from scratch. You can now easily re-use content from a PDF by opening it right from Word 2013. In PowerPoint 2013, when you are moving text boxes or shapes around, alignment guides will appear automatically to help you align and snap into place so it’s much easier to create professional-looking slides. You can also use the Eyedropper to pick out any colour. All Office apps now include many more professional-looking templates for you to choose from so you can get things done faster without starting from scratch. 3. Office 365 Gives You The Best Technology To Reach Your Business Goals. Easy web-based management of all the services for you to add or delete users, define settings, etc. IT admins can setup anti-malware and anti-spam policies for the entire organization with just a few clicks. Office 365 comes with a financially backed 99.9 percent availability guarantee. That means less worry for IT. Mid-sized Business includes 24/7 telephone support for business critical issues, and unlimited support during business hours for non-critical issues. Our phone support exceeds our closest competition on all of our SKUs. 4. How Office 365 Gives You The Best Bang For Your Buck. Modernise your productivity and business with Office 365. Do more by connecting the right people, ideas and information in your business anytime, anywhere. Focus on your priorities with Office 365. Streamline your IT process while securing your business with enterprise-grade protection and business continuity. Know your files are securely backed up and can be recovered and accessed anywhere. Stay current and competitive by investing in Office 365. Having your complete office in the cloud allows you to maximize your technology investment, reduce short-term costs, and ensure that your business remains ready for the future. Are you currently running an old server? Are server maintenance costs preventing you from upgrading to a newer version? How often is your email server down? How much time do you spend managing and patching these servers? Why continue to put yourself through feeling the pain of running old servers because with Office 365, it will become a thing of the past! Benefits of cloud versus on-premises. Office 365 is a cloud service which means that you upgrade and always use the latest version of the technology without the upfront server costs. 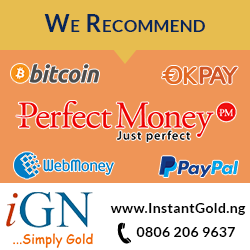 Also, it is very easy to manage from a budget perspective because it comes with an affordable monthly fee. Microsoft has really simplified IT for you not only by taking care of the daily maintenance and up-keep of the servers but also by making sure you have the best spam and malware protection. But you will still get the control you want. There is a single web-based admin console from where you can log in to configure Exchange Online, SharePoint Online, and Lync Online. It even includes cool management tools like remote data wipe for any lost devices. Are you a fast-growing business with multiple offices but they still have limited IT staff? How much time do you spend managing and trouble-shooting your collaboration tools? How scalable are those tools to meet your growing needs? What tools do you have in place for collaboration to help workers from different offices work better together? What you need is a scalable turn-key solution for productivity that supports your growing needs - Office 365. There is one admin console from which you can login and within minutes add users from a new office location onto the same platform that everyone else is on. And this platform has an integrated suite of the best productivity services to help you. Everyone in your growing company will work better together because Office 365 includes capabilities, regardless of where you are physically, to help you conduct effective meetings. There is an easy way to share large files, within the company, and outside, with customers and partners. You can follow people, sites, and docs so regardless of how fast the company is growing, you can always stay close to the projects you care about and get answers quickly. You can also provide the best customer service, something that is always important to growing companies as they continue to look for ways to differentiate themselves. Office 365 will give you the best value for productivity so that you can stay focus on your core business. Are you already using hosted or web-based email through any free consumer email services (like Gmail) or free hosted email through your internet provider? Are you confident that your data is being protected? How reliable is your email? Were you constrained, due to your company’s size to pick and choose multiple and disconnected free or paid solutions for collaboration that did not work together at all? Are your collaboration tools easy to use with similar interfaces? You are concerned about data protection but are not very happy with the unplanned downtime you experience with your emails. Your users are frustrated with the unfamiliar and multiple disconnected tools. Your solution is to use Office 365 which is more superior to any other cloud services in market, i.e. Microsoft’s cloud services. Microsoft has invested and is committed to providing enterprise-class reliability and security with 99.9% uptime guarantee service level agreement. It provides automatic backup, with geo-redundant data centres so you always have business continuity. And Office 365 simplifies your IT because it is one solution that comes with the best of breed, enterprise ready, productivity services that have been optimised for small businesses and they work seamlessly with each other out of the box. Despite your company size, Office 365 will help you look your best because it comes with the best in class tools, which is the Office rich client. Office has a familiar experience for most people and it is a similar experience for all the collaboration services. Even though you may not have IT, it is very easy for you to set up your company domain name to use for email as well. Are you still using an older version of Office? What is their biggest obstacle in upgrading Office client? How do you currently support your mobile workers? Are there tools in place for collaboration? Your budget is affecting upgrade decisions. There is limited support for mobile workers and the users are frustrated with limited capabilities in the older versions. Office is very different since the last time you purchased Office more than 6-8 years ago. Office is so much more than just Word, PowerPoint, and Excel. The concept that the rich familiar Office client is now delivered as a service meaning you now sign into Office so Office “knows” you, and your latest documents and settings roam with you. You can also use Office from multiple devices so you can productivity while you are on the go. In cases where you do not have your laptop, you can now stream the latest version of the Office applications on any PC so you can truly work from anywhere and be productive wherever you are. With Office 365, in addition to the familiar rich Office client, included now are productivity services for business-class email and calendar, online meeting and web conferencing, and ways for you to share and collaborate on files in a secured way. Because Office 365 is a cloud service, it offers the best value not only for staying current with the Office applications, but can also replace all their collaboration tools. It does not require upfront infrastructure cost and comes with predictable monthly costs. Enables you to access the latest documents and applications you need from anywhere so you can be productive on the go on the devices you use. A cloud service that gives you the best value as you do not need to pay upfront for server upgrades, you always get the latest versions, and it is a predictable monthly fee so it is easy to budget.